Mobile Legends Spring festival is ending soon. Check out their recent trailer. 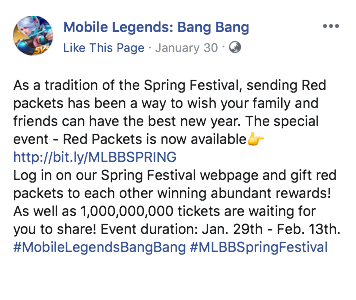 Last month, Mobile Legends announced the Spring Festival event, which will be ending this 13th February. The announcement was made on their official Facebook page and in the game itself.